October 21, 2015 was a great day. It was the day that Marty McFly and Doc Brown traveled to in Back to the Future Part II! The “prophecy” failed to be completely true – the Cubs still haven’t made it to the World Series despite their run this year. But a number of companies have created hover boards. The concept of time travel, both going back in time to change something or having knowledge about the future is something we as humans seem to be enamored, if not obsessed, with. Investing is definitely not exempt. The regret of not investing at some point in the past – whether at lows or highs – is common and even academically studied. The ability to predict the future is elusive but desired by nearly all market participants. Fear of the future, a prominent theme throughout the Back to the Future films, is always on the minds of investors. The views expressed herein are exclusively those of CLS Investments, LLC, and are not meant as investment advice and are subject to change. No part of this report may be reproduced in any manner without the express written permission of CLS Investments, LLC. Information contained herein is derived from sources we believe to be reliable, however, we do not represent that this information is complete or accurate and it should not be relied upon as such. All opinions expressed herein are subject to change without notice. The graphs and charts contained in this work are for informational purposes only. 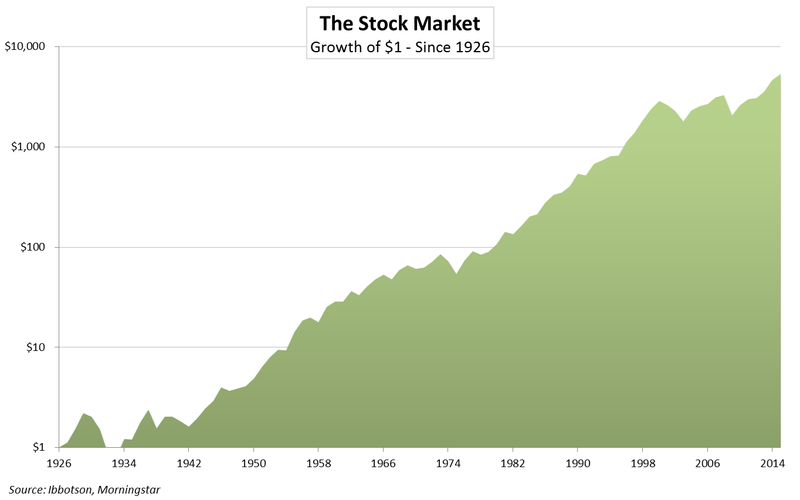 No graph or chart should be regarded as a guide to investing. This information is prepared for general information only. It does not have regard to the specific investment objectives, financial situation and the particular needs of any specific person who may receive this report. You should seek financial advice regarding the appropriateness of investing in any security or investment strategy discussed or recommended in this report and should understand that statements regarding future prospects may not be realized. You should note that security values may fluctuate and that each security’s price or value may rise or fall. Accordingly, investors may receive back less than originally invested. Past performance is not a guide to future performance. Investing in any security involves certain systematic risks including, but not limited to, market risk, interest-rate risk, inflation risk, and event risk. These risks are in addition to any unsystematic risks associated with particular investment styles or strategies.